Wild Brew Yonder is the place to go to for your cup of Joe! We proudly serve Starbucks coffee! We are currently serving Pumpkin Spice Lattes and Peppermint Mochas! Come get your morning started off right or get that afternoon kick! Wild Brew Yonder serves a variety of breakfast options and snacks! 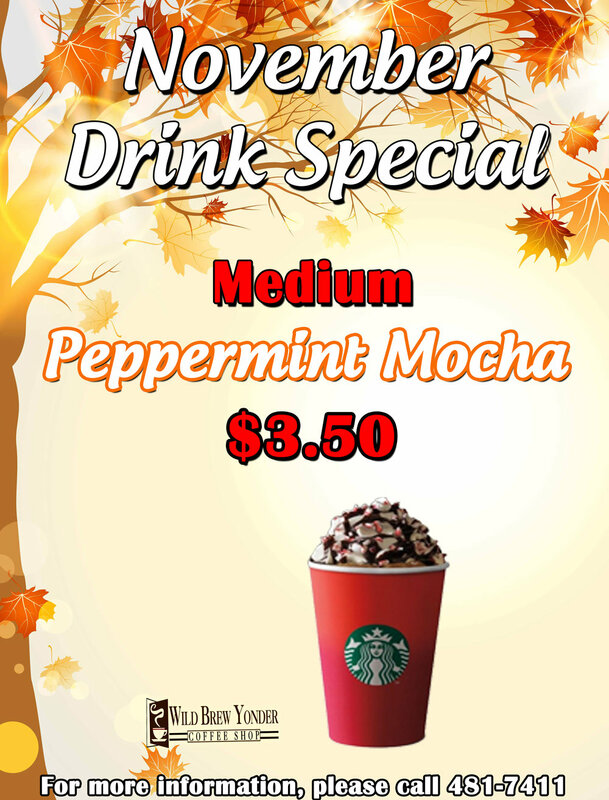 November's drink special is a medium Peppermint Mocha for $3.50!